(Bloomberg) – The deliberate flouting of South African government tender procedures has resulted in the squandering of much of the state’s R800 billion ($55 billion) annual procurement budget, a senior Treasury official said. “There’s a challenge because we can’t claim that all this money goes to where it is directed to,” Willie Mathebula, the Treasury’s acting chief procurement officer, told a judicial commission that’s investigating the alleged plunder of taxpayer funds during former President Jacob Zuma’s rule. He described the fight against the practice as “a war” and said people have been embedded in the system to intentionally abuse it. Zondo Inquiry. More of Zapiro’s brilliant work available at www.zapiro.com. The panel, headed by Deputy Chief Justice Raymond Zondo, is probing an array of deals between state entities and private businesses that went awry. 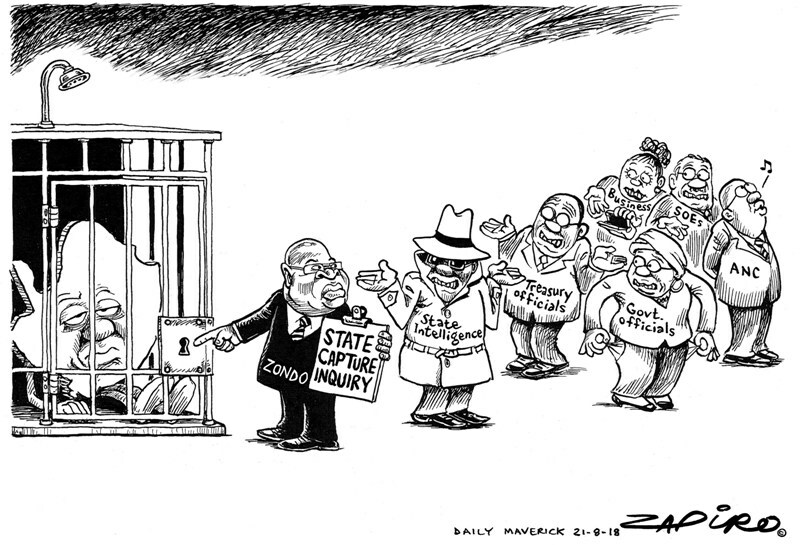 Its outcome will go a long way in determining whether South Africa can put behind it years of mismanagement during Zuma’s scandal-ridden tenure, which lasted almost nine years and undermined investor confidence and economic growth. Mathebula was the first witness to take the stand in Johannesburg on Tuesday. He called for his office to be given more power to deal with infractions, more than half of which, he said, are deliberate. The justice system moves too slowly to identify the culprits and hold them accountable, he said. 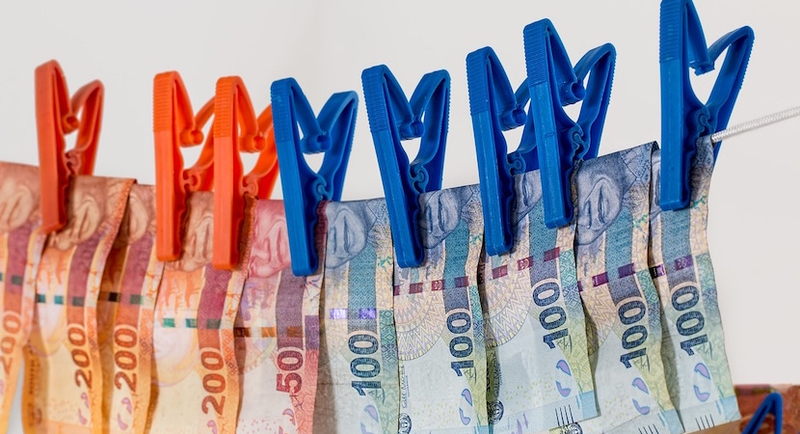 While Mathebula didn’t identify any culprits or specify how much money was going to waste, the figure was put as high as 40 percent of the procurement budget in 2016 by then-chief procurement officer Kenneth Brown. Ex-Finance Minister Pravin Gordhan, who now oversees state companies, has estimated has that more than R100 billion may have been lost in state capture – as the plunder of government funds by private interests is known. The Treasury plans to appoint a procurement ombudsman, who will be able to mediate in disputes over state tenders before aggrieved parties end up in court, Mathebula said. Thuli Madonsela, the nation’s former anti-graft ombudsman, ordered the establishment of the judicial probe after her own investigation indicated that Duduzane Zuma, the ex-president’s son, and the three Gupta brothers who were his business partners, had exercised undue influence over contracts, appointments and decisions. They have all denied wrongdoing. The commission’s public hearings are due to resume on Aug. 24, when former Deputy Finance Minister Mcebisi Jonas is due to testify. Jonas has alleged that one of the Gupta brothers offered him the finance minister’s post, R600,000 in cash and another R600 million deposited into an account of his choice on condition he fire treasury officials who were blocking deals the family’s companies wanted to do with state firms.